Arunachal Pradesh is on the northeastern tip of India bordering Bhutan on the west, China on the north and Myanmar (Burma) on the east and the state of Assam on the south. Part of eastern Himalayan ranges, it covers 83,743 sq. kms. its climate varies from the sub-tropical in the south to alpine in the north. Evergreen forest covers more than 60 percent of Arunachal Pradesh with its numerous turbulent streams, roaring rivers, deep gorges, lofty mountains, snow clad shining peaks, hundred and thousands of species of flora and fauna. The state is proud of having more than five hundred rare species of orchids. Assam is the home of the rarest species of wildlife, some of which are on the verge of extinction. Leaving aside a few places in Africa, there is perhaps no part of the world where such a variety of wildlife exists. 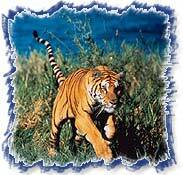 Kaziranga is the only national park in Assam with an area of 430 sq. kms. It is home of the Great Indian one horned rhinoceros, the Royal Bengal Tiger, elephant, Indian bison, leopard, Sambhar and hundreds of varieties of birds. Arrive at Guawahati airport and transfer to your hotel. Take an afternoon trip to the Kamakhya dham tantric temple, the most significant site in the area. By road to Bhalukpung on the border of Assam and Arunachal. Stay in a riverside eco camp where angling for a fresh fish supper is possible. Evening camp fire and cultural event. Visit Tippi orchidarium then drive through spectacular scenery via Bomdila to Dirang Dzong. Overnight at a guesthouse or tented camp. A day spent around Dirang Dzong meeting the locals and sight-seeing. Drive over sella Pass (13,700ft) to Tawang. Overnight in a guest house. 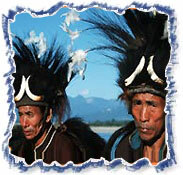 Explore the area in and around Tawang including a visit with the Mompa tribal people. After lunch visit Pitisu Lake close to the Tibet/Arunachal border. Visit Tawang monastery and the Ani Gompa. Visit the crafts centre. Return by road to Dirang Dzong. Overnight in guest house. By road Bhalukpung for night at the Eco camp. To Kaziranga National park of the Indian One Horned Rhino. Overnight in a forest lodge. Visit Kaziranga for Elephant/Jeep safari. Overnight in forest lodge. Drive to Dibrugarh En route visit Sisagar the site of 600 year old Ahom monuments. Overnight in heritage Chang tea estate bungalow. Transfer to Dibrugarh airport for departure to Kolkatta or Delhi.